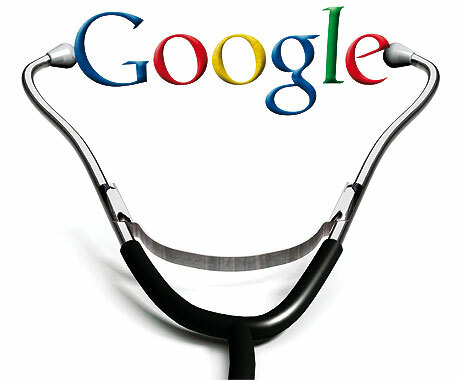 FFE Magazine > Life and Lifestyle > Health > Is it really wise to Google your symptoms? Is it really wise to Google your symptoms? A new word has been coined with the steady increase of the number of people self diagnosing themselves through the internet: cyberchondria. Cyberchondria is the result of unfounded anxieties over common health symptoms after reading and researching about it on the internet. Do you hit the net as soon as you feel something strange in your body? You are not alone. One in seven of us now search the web for information on illnesses – and that number is to double within a decade, according to the Future Foundation. Because of our easy access to tons of medical information on the internet, we can easily get carried away with the information we read and believe it instantly. A stomach discomfort… it could be appendicitis, irritable bowel syndrome, food poisoning or maybe… simple flatulence. Tingly toes… could be diabetes, underactive thyroid or … simple cramps after sleeping in an odd position. We could be just a couple of websites or clicks away from deciding that our days on earth are already counted. There are just so many bad information on the net that doctors are repeatedly appealing to people to do away with this urge and go the traditional route: take a trip to the family doctor. Unfounded anxieties over common health symptoms are becoming increasingly common as more people visit the Internet instead of the doctor, says Rahul K. Khare, MD, an emergency medicine physician at Northwestern Memorial Hospital, US, who has treated patients who—after experiencing common symptoms such as a runny nose, sore throat, and enlarged lymph nodes—Google their symptoms and convince themselves they have cancer. One patient even reached a self-diagnosis of non-Hodgkin’s lymphoma, he says. Under diagnosing – you might be suffering from a more serious illness already but you searched on the net and stumbled upon an unreliable site telling you it’s a simple headache, and thus you do not do a follow up check up with your personal doctor. Over diagnosing – conversely, if you might be having a simple menstrual migraine, but what you found on the net tells you that you probably have a tumour. Unnecessary anxiety and stress – reading the wrong information can lead to useless worrying and eventual anxiety that could actually lead to a more serious stress induced ailment. However if you feel that you cannot fight the urge to google your symptoms, because it seems to be pressing, and you cannot get an earlier appointment with your doctor; you are on holiday an cannot get to a doctor immediately or you just feel the need to be assured that your tingly toes is not yet going to kill you – heed the advice of Dr. Khare, MD to avoid the adverse effects of self diagnosing yourself through the internet. Any quack with an Internet connection can build a website. Make sure the sites you visit for health advice are reputable and vetted by medical experts. Cleveland Clinic, Mayo Clinic, and The Centers for Disease control and Prevention all have legit and easy-to-find information for self-diagnosers, he says. Sure, medical pages about obscure fungal infections can feed a sort of morbid curiosity, but when it comes to self-diagnosing, keep your searches targeted and don’t wander, Khare says. Only research the symptoms that you actually have and log off as soon as you find your answer. “The last thing people should do is worry for no reason,” Khare says. If online information has you nervous, visit your doc immediately. Share the diagnosis you found online and don’t leave until your concerns are addressed, he advises.